Michael Breazeale is a Marketing educator, researcher, and consultant. Assistant Professor of Marketing at Mississippi State University, he received his Ph.D. from Mississippi State University in 2010 and previously taught at Indiana University Southeast and University of Nebraska at Omaha. His primary areas of research encompass consumer-brand connections, branding for nontraditional organizations, the consumption of experiences, and retail atmospherics. 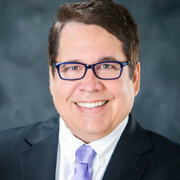 Published in journals including International Journal of Market Research, Marketing Management Journal, Journal of Retailing, and Journal of Business Research, and with numerous conference presentations relating to his research, Mike has won multiple awards for both teaching and research, and serves as reviewer for several top marketing journals. Mike has performed consulting duties with clients as diverse as Millward Brown Optimor and the U.S. Military, and is a founding member and organizer of the Brands & Brand Relationships conference and Institute, and contributes significantly to this annual gathering of marketing scholars and practitioners from around the globe. Mike is co-editor of Consumer-Brand Relationships: Theory and Practice (2012) and Strong Brands, Strong Relationships (2015), both from Routledge Publishing.